Thanks to online caregiver databases like Care.com, finding a babysitter is easier than ever before. Using your location, along with the personal information you choose to provide, you can search for, contact, and start the interview process for any type of sitter you need. Whether you’re looking for a nanny who can start tomorrow or a sitter for next month’s date night, this is your step-by-step guide to using Care.com to find her (or him)! When you log on to Care.com for the very first time, you’ll need to choose whether you need a caregiver or want a care job. Click the button that says “find care,” and step one is done. Of course, if you wanted to provide care, you would click “find jobs” instead. 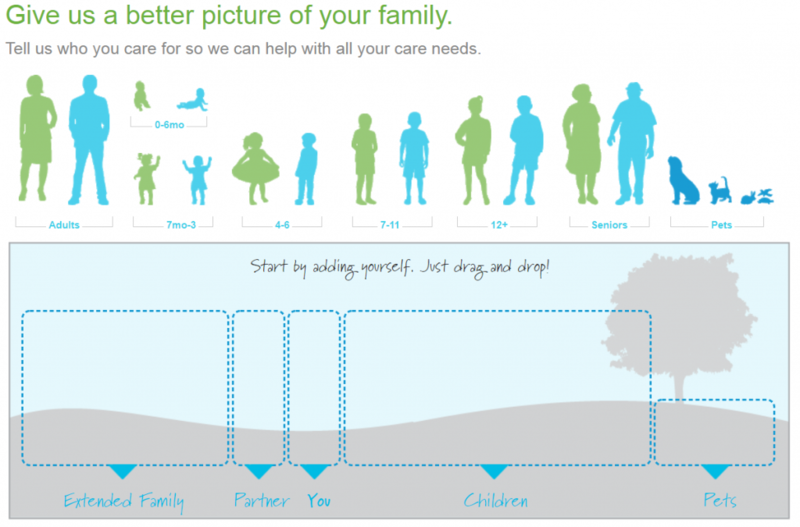 Step 2 – Who is going to need care? At this point, it’s probably clear that Care.com can actually help you find a sitter for more than just kids. You can also use the site to find (or provide) care for elderly or ailing parents, your furry friends, or even your home. In this case, you’ll want to select the “my kids” option — the one with the cuddly teddy bear icon — before you move on. Step 3 – What kind of care are you looking for? Step 4 – How soon do you need someone? Do you need a sitter right now, within a week, or within a month? Select the option that works best for you. Don’t worry — you don’t have to hire a sitter in that time frame… or at all. There is also a “just browsing” option for curious parents who want to see what types of care are available in their geographic location and/or for their specific needs. Upon account creation, Care.com will ask you for more detailed information about you and your family — how many members, pets, ages of children, special needs, and other requirements. This portion of the process is optional, and may be skipped entirely or provided at a later date within your account profile. Once you’ve made your selection, type in your zip code and choose a search radius. 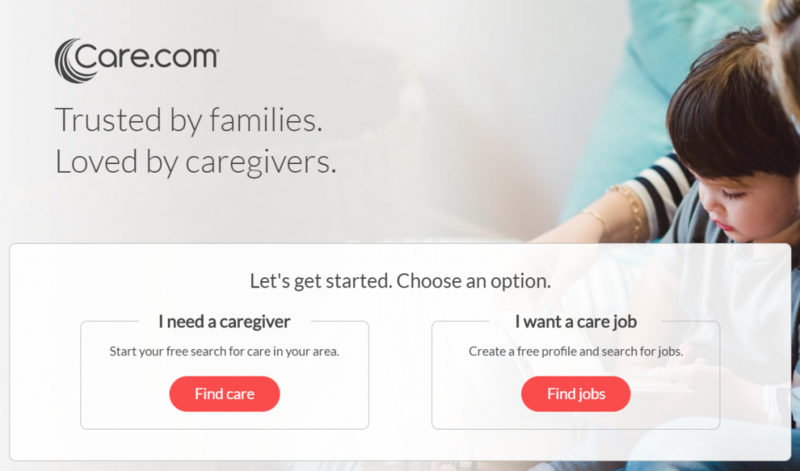 When you hit “search,” Care.com will scan their database in order to show you all of the caregivers that match your criteria. The caregiver profile is the place where all of your prospective sitter’s information will be listed. Much of the information is optional, so all categories may not show up for all Care.com members. When you click on a caregiver profile, you’ll see a variety of information about the person, including their name, photo, gender, title, and location. Their experience in years, age, and hourly fee will also be listed. Additionally, if the sitter has received any reviews, the profile will also list the average star rating of those reviews, as well as the number of reviews received. You can click or scroll to read the individual comments. Green icons with checks will indicate whether the caregiver has transportation, is willing to travel, possesses first aid or CPR training, is comfortable with pets, and is a non-smoker. Further down on the page, you can read a self-written bio. If the person is willing to help with additional tasks, like cleaning, errands, or meal prep, this will be listed as well. If the caregiver has chosen to provide a resume, you will be able to review work history, skills and experience, and education. Members can also choose to list preferred payment methods and/or verify their social media accounts. Finally, there is a section where they can list their availability. Step 10 – Do your research. The caregiver profile is also the place where you can start the researching and interview process. In addition to the limited screening they provide for all caregivers, Care.com offers families three types of background checks: motor vehicle records, criminal records, and investigative criminal plus. All of these checks are performed by an outside, third-party vendor. On top of those measures, it’s a good idea to interview candidates, check references, and go with your gut when it comes to hiring someone to watch over your loved ones. A thorough interview process is time consuming and work intensive, yes, but it also gives you peace of mind as a parent. Up to this point, the site has been free to use. However, in order to use Care.com to run checks, send messages, set up interviews, or book care, you’ll need to upgrade to a premium membership. Currently, Care.com offers a monthly, 3-month, or 12-month membership plan to suit your needs. Plans are set to renew automatically at the end of their billing period, but if you find a regular sitter or just want to take a break for a while, you can downgrade back to a basic plan at any time without deleting your account. Just cancel your subscription. That’s it! That’s everything you need, step by step, to find a babysitter. Now, head on over to Care.com and make date night or me time — or whatever else you need to get done — a reality!